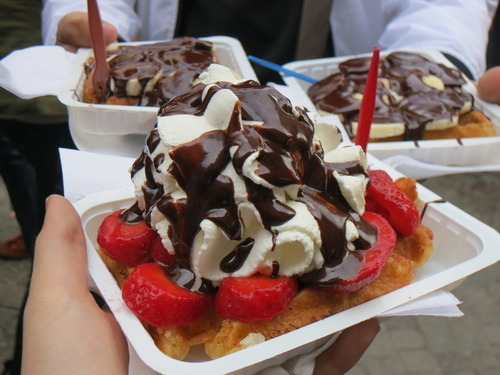 Belgian waffle with strawberries, cream and chocolate. 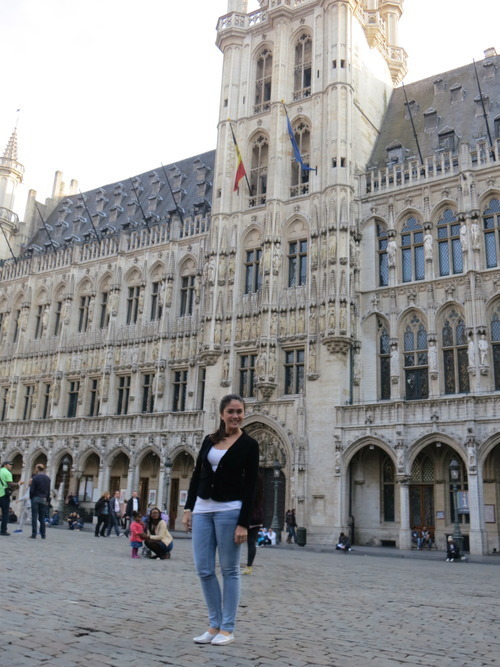 The best Belgian waffles are the ones you buy on the street for 1 euro. Typical Belgian dinner at La Terrasse. 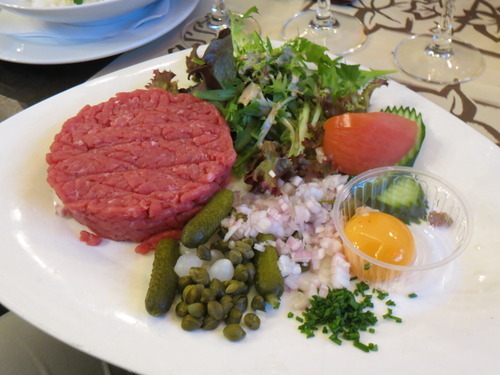 Tartar de Beouf —Its raw steak mixed with onions, capers, chives, egg yolk, and salt and pepper to taste. 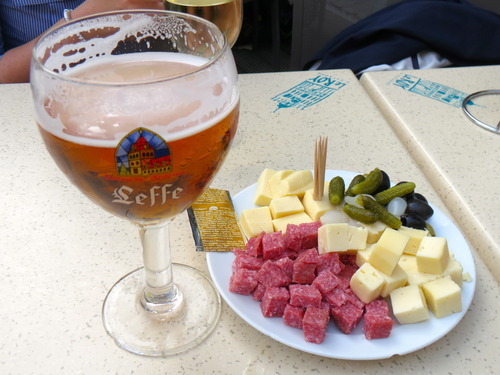 At Le Roy (a restaurant at the Grand Place) having a Leffe Blond with some Salami, cheese and olives. The very famous Manneken Pis. 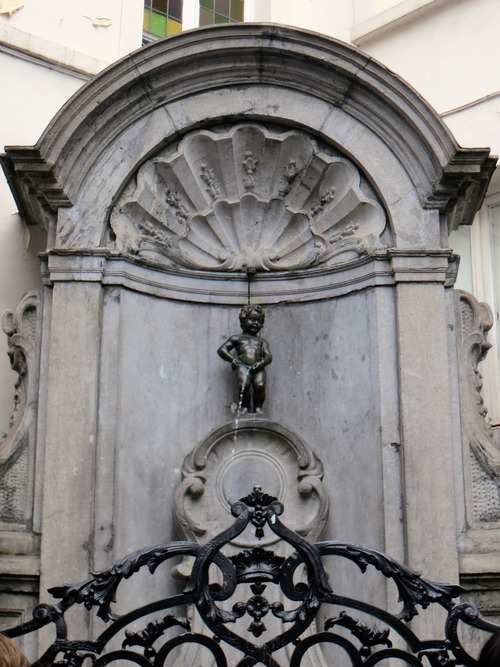 this little boy peeing is very significant in the culture of Belgium. Its a sign of their independence or something. At 8:30am, we were ready to head off! We had our full tank of gas, our food bag, our GPS and our maps. It was an 8-hr drive to Lausanne. We saved up on accommodation for today since we stayed at a friend’s house. 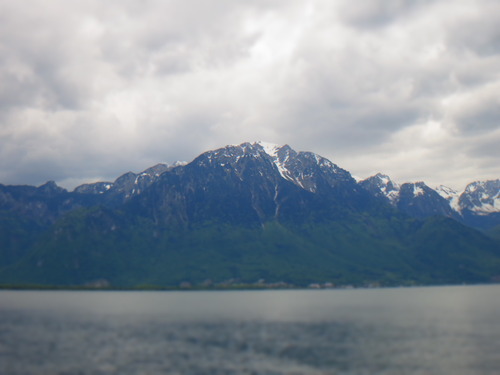 We drove for another ½ hr to Montreux – Part of 1000 Places to See Before You Die. True enough! 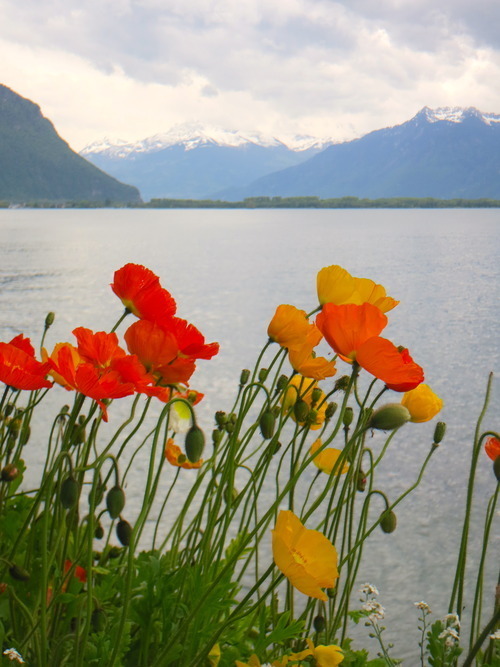 While walking along the flowery lake promenade, you could see the vineyards bordering this place, the very calm Lac Leman and the breathtaking backdrop of snow-covered Alps. Charlie Chaplin and Freddie Mercury among a few lived here before. We had Cheval steak (horse meat), a delightful Swiss fondue dinner and finished it off with some Limóncello. Our welcome drinks in Lausanne. 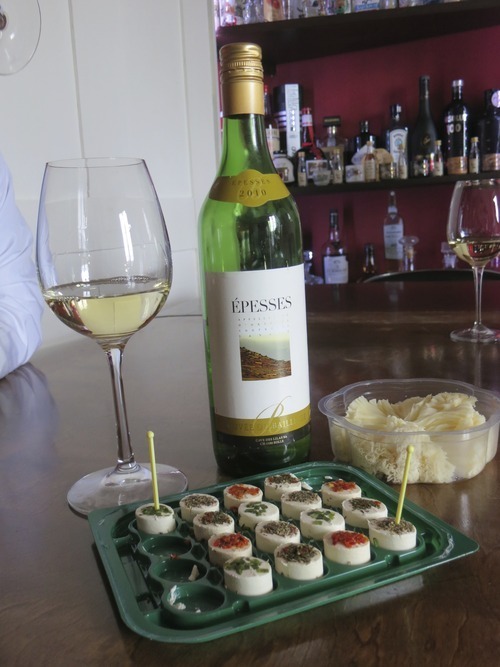 Swiss wine and Monk’s head cheese– perfect way to end the drive! 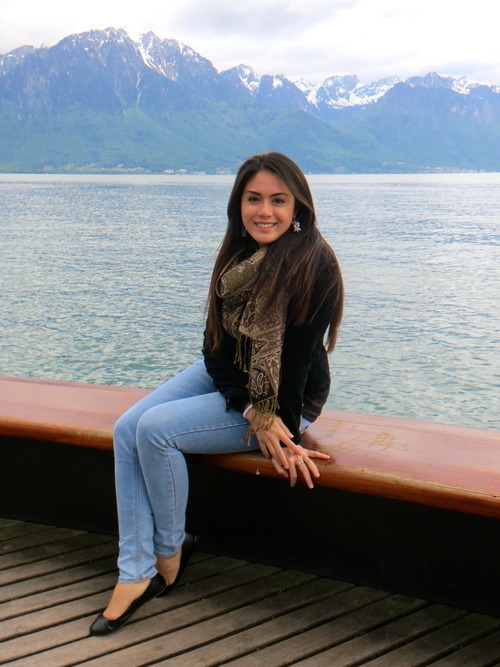 Montreux, Switzerland with Lac Leman and the Swiss Alps as my background. Drove for an hr to Geneva to see more friends. 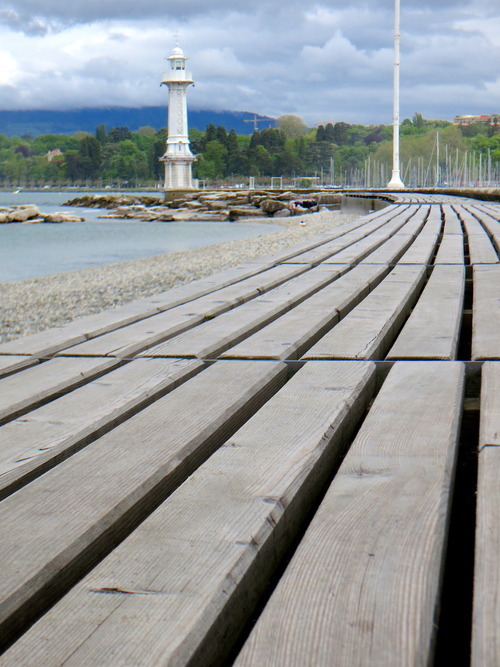 We got carried away with catching up with friends that we left Geneva pretty late to get to Marseille. 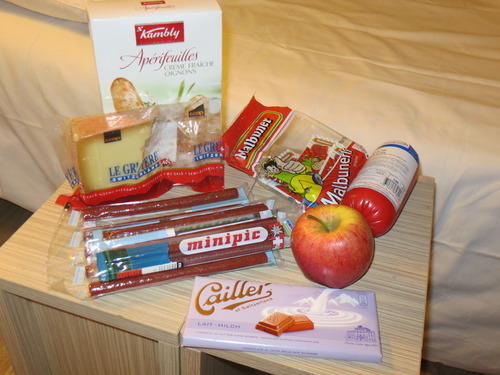 We reached Marseille at 10PM and decided to have dinner in our room. Set of one of my favorite books, Count of Monte Cristo by Alexander Dumas. This is where they lived with Mercedes and where he was imprisoned, Chateau d’if. 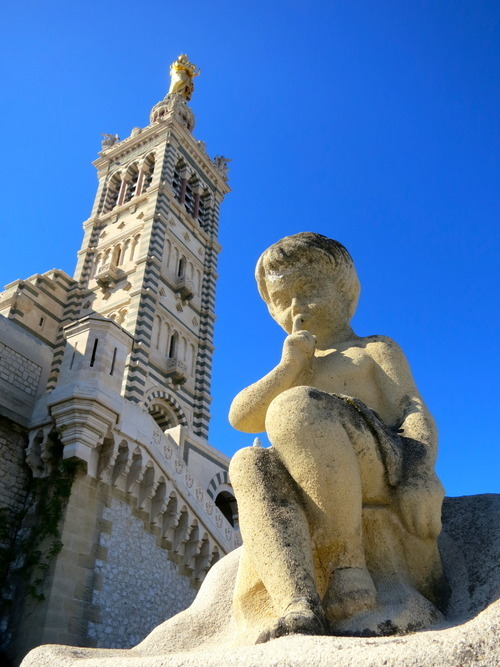 We went to Notre Dame de la Garde on top of the hill where you can see the entire city. When we got our fill with the view, we had a mind-blowing lunch near Vieux Port. We drove for 4 hours to Barcelona. You could see tiny Chateau d’if at my back. 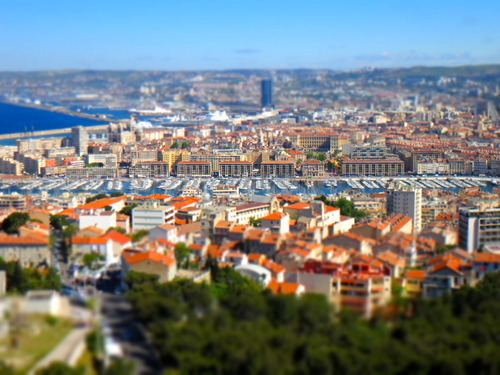 The view of the city of Marseille from Notre Dame de la Garde. 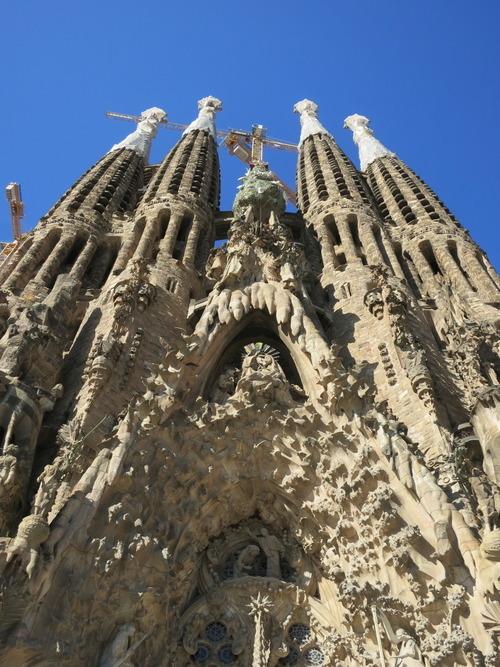 Sagrada Familia and Park Guell in the morning and had to drive fast to Valencia in the afternoon to see the Valencia Cathedral where the Holy Grail is before it closes. We drove 150km/h and did not stop for toilet breaks. (I had to pee in a Starbucks venti cup at one point. haha) We made it 30 mins before the Cathedral closed. 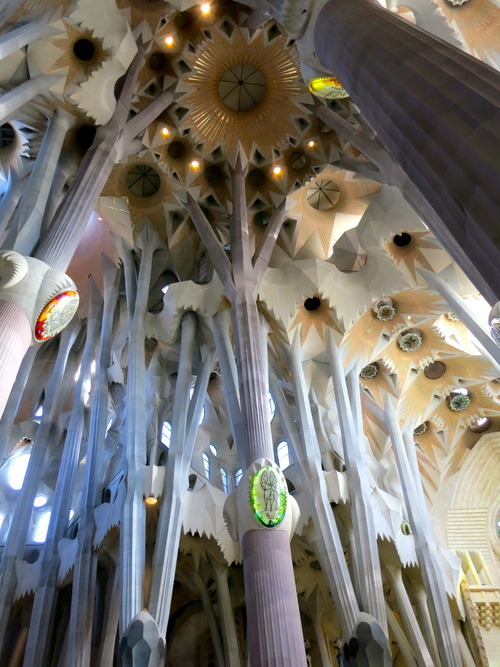 Sagrada Familia looks like a melted candle on the outside and a forest in the inside. 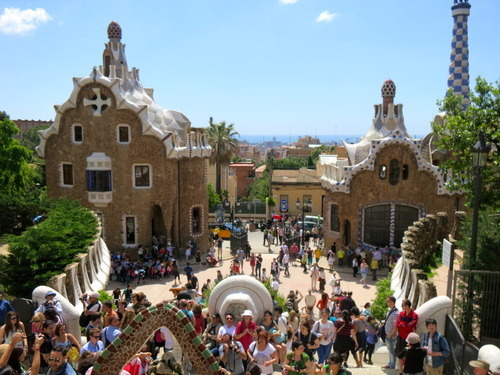 Anthony Gaudi was an extraordinary architect. 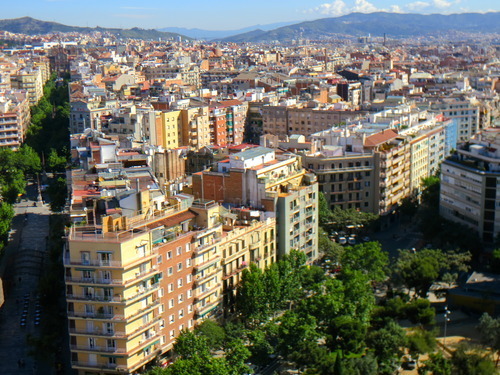 The view of the city of Barcelona from the tower of Sagrada Familia. 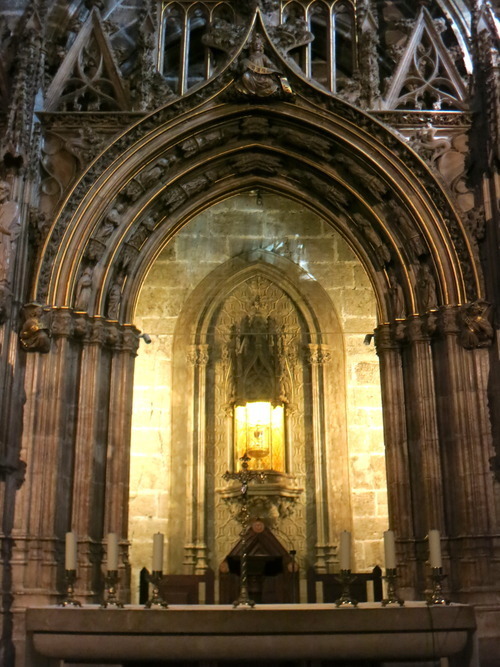 This Chalice in the Valencia Cathedral is believed to be used by Jesus Christ during the last supper. Early morning drive to Granada around 7am. Reached there at 1pm only to find out the tickets to the Alhambra was sold out! The only reason why we had to go to Granada! Tip: ALWAYS BUY YOUR MUSEUM TICKETS ONLINE. Saves you time and gives you a guarantee. We were so bummed out we decided to spend it on a good lunch. We drove straight to Portugal after that. Well, this is the closest we could get to seeing Alhambra. Better luck next time, i guess.